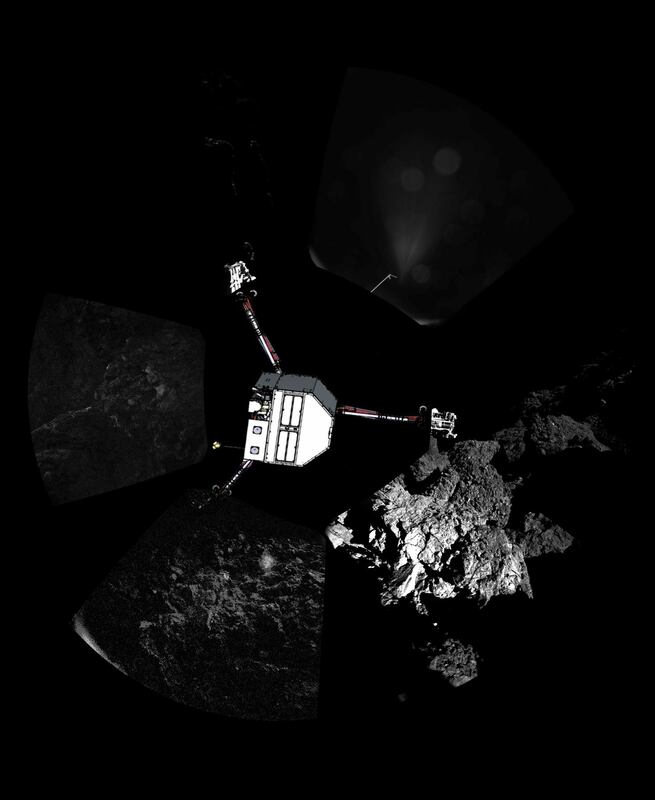 No, scientists haven’t found Philae yet. But as they churn through the scientific data on the comet lander, more information is emerging about the crazy landing last month that included three touchdowns and an incredible two hours of drifting before Philae came to rest in a relatively shady spot on the surface. Among the latest: the tumbling spacecraft “collided with a surface feature” shortly after its first landing, perhaps grazing a crater rim with one of its legs. This information comes from an instrument called ROMAP (Rosetta Lander Magnetometer and Plasma Monitor) that monitors magnetic fields. The instrument is now being used to track down the spacecraft. ROMAP’s usual role is to look at the comet’s magnetic field as it interacts with the solar wind, but the challenge is the orbiter (Rosetta) and lander both create tiny ones of their own due to the magnetic circuitry. Usually this data is removed to see what the comet’s environment is like. But during the landing, ROMAP was used to track Philae’s descent. Philae was supposed to fire harpoons to secure itself to the surface when it touched down at 3:34 p.m. UTC (10:34 a.m. EST) Nov. 12, but the mechanism failed. ROMAP’s data then shows the spin rate increasing, with the lander turning at one rotation every 13 seconds. The grazing collision happened at 4:20 pm. 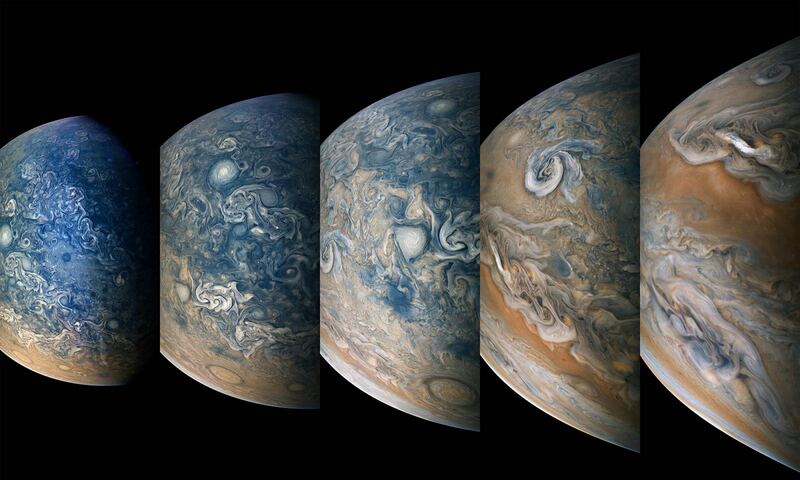 UTC (11:20 a.m. EST), making the rotation decrease to once every 24 seconds. Then the final two touchdowns happened around 5:25 p.m. UTC (12:25 p.m. EST) and 5:31 p.m. UTC (12:31 p.m. EST). Controllers hope they can figure out exactly where Philae arrived once they look at data from ROMAP, CONSERT and other instruments on the lander. Philae is now hibernating because there isn’t enough sunlight in its landing spot to recharge its battery through the solar panels. 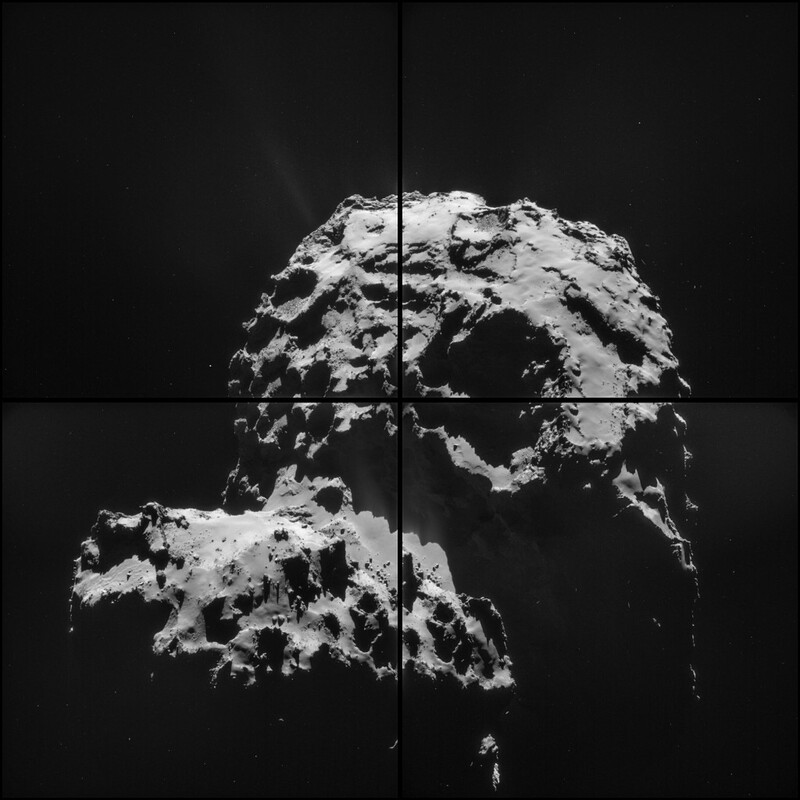 Rosetta, meanwhile, continues orbiting 67P and sending back pictures of the comet as it draws closer to the Sun, including the image you see further up in this blog post, released today (Dec. 2) a few days after it was taken in space.